If you asked me 5 years ago whether I thought food would be a major factor in our lives in South America, I never would have considered it. Food was food. Sure there were things I liked to eat and I knew there would be things that I wouldn't be able to find in South America, but I am here to tell you that our cooking and eating habits have changed and matured dramatically since we left the USA in early 2009. In Uruguay, our major adjustment was that the dinner hour doesn't start until about 8 PM (this is true in Argentina as well, with many restaurants hitting their busiest times around 10 PM). When we visited Uruguay in early 2008 during our exploratory trip with our infant daughter, this wasn't an issue. We brought the baby with us in a stroller and she slept while we ate. Toddlers, unfortunately are not quite as flexible. We opted to make food at home whenever possible and more often than we care to admit, we would wait for the take-out pizza place to open at 7 PM so we could get our pizza, pizzeta (crust, sauce and toppings with no cheese) and faina. Luckily, wherever we have lived in South America, there has been an ample supply of fresh produce and we could find the raw ingredients to make many things. On the other hand, the furnished rentals where we've lived have posed a challenge with the appliances/cookware provided. I started to cook in earnest, while not buying many durable goods because we've been moving frequently. Necessity is the mother of invention and I learned to make all the things that we might be craving: pad thai, fried rice, mac & cheese, lasagne, and all sorts of sauces, soups and spice blends from scratch. I've always loved to bake, but I started experimenting with alternative flours (there are many gluten-free alternatives here) and I've had great success with everything from pizza crusts to moist fruit breads and crumbly scones. Many of my cooking challenges arise from using recipes or meal-planning sites from the USA. As we are not in the US, I do not have access to certain foods (like kale, organic anything, sweet potatoes and most packaged items) and appliances (like crockpots- not available here, or a blender- I refuse to buy one). I've made do with substitutions for some things and created my own modified prep and cooking methods for others. I am going to start to include recipes and workarounds here, as a supplement to our travel blog. Food is a huge part of an experience in any country. While I sometimes like to cook North American food as a reminder of 'home', I use many international influences, all the while modifying recipes to fit with the foods we have readily available in central Argentina. Hope you enjoy our international food journey. You might just find a recipe that you'd like to try as well. ¡Buen Provecho! One thing that I miss in Uruguay: American style coffee shops. I know, I know. This is not the USA and why would there be American style coffee shops here? We knew that this wasn't the same kind of coffee culture as the USA. It's just taking some getting used to. I love coffee shops that sell a variety of baked goods, roasted coffee beans and fresh coffee- to enjoy there or TO GO in big, big cups. I am historically not an espresso drinker because it's gone in two sips. For me, a 16 ounce coffee is good, but 20 is even better. Not that Starbucks is a favorite, but we used to live right above one in Minneapolis and it was a frequent stop for us. In Montevideo, you can go to any of the standard fare restaurants or confiterías and get an espresso, café or cortado in a beautifully presented little cup, but not to-go. They may offer some really fabulous pastries, but it is just not the same. I want to settle into a comfy chair with a gynormous cup of coffee in hand and enjoy some alone time with the newspaper. For now, that will have to be done in the comfort of my own home. The best alternative that we have found in Montevideo if we want a coffee "para llevar" (to go) is--please don't laugh here--McDonald's. The restaurant side of McDonald's sells coffee or café con leche in a to-go cup. It is not the best, but it's all we've got here if you want it to-go. One huge surprise for us has been the McCafé- it is an actual cafe attached to the McDonald's restaurants in Montevideo and quite impressive one at that. The McCafé has higher-end finishes, free wifi and an upscale attitude, serving pastries on porcelain plates and coffee in glass. We have enjoyed some time at a McCafé, but the sizes are smaller and prices are quite a bit higher than the to-go coffee in the McDonald's restaurant. Rightfully so, as the cafe is much more civilized than the standard McDonald's. We have stumbled upon two places lately that may become close stand-ins for our beloved coffee shops in the USA. More info and reviews to follow in the coming days. With the occasional visit to the McCafé or the other shops we've found lately, more frequent stops at McDonald's for a paper cup of joe and daily coffee at home, we'll do just fine. The differences here in Uruguay are also leading us to some welcome changes in our lifestyle. We slow down, take a seat and enjoy our coffee and conversation for a while instead of grabbing our to-go cup and running. Not a bad change at all. 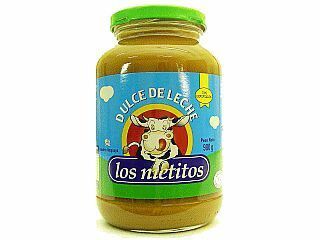 In a land where 'dulce de leche' rules supreme, one can expect that sugary sweets are a mainstay of the local diet. As a person with Type 1 Diabetes though, I have an unusual relationship with sugar (and all carbohydrates for that matter). Contrary to popular belief, I can eat sugar, I just have to be diligent and count exactly how much I am consuming, then give myself the proper corresponding amount of insulin. Alternatively, I'm not a fan of aspartame and lean towards sucralose if I do need an artificial sweetener. I was not prepared for sugar popping up in all sorts of unusual places in Uruguay. Ground Coffee. While not a coffee connoisseur, I like the stuff enough to drink every day. Since arriving in Uruguay, I have purchased a variety of ground coffees from the grocery store. Never in my wildest dreams did I think to look at the contents of a bag of ground coffee. If you see the word "Glaseado" on the label, sugar is the #2 ingredient. 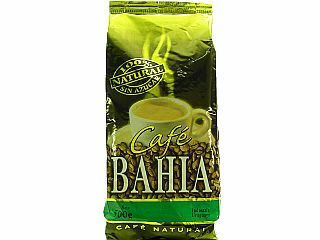 I found one brand of 'cafe natural' that advertised no sugar. I was thrilled but unfortunately I find the coffee somewhat bitter. The Mellita brand also has unsweetened ground coffee. Pay attention to the name because there is also a Melita (one 'L') that has sugar. Fruit Juice. It was brought to my attention a few weeks ago that the fruit juices here contain added sugar. While doing some investigation, it appears to be a variety of sweeteners in juice: sugar, high fructose corn syrup, aspartame or sucralose. Not extremely unusual, I guess, but I would hope for at least a few unsweetened options. Correction: I have found a few of the Dairyco brand juices in the refrigerator section do not have added sugar (or other sweeteners). The Naranja y Manzana (Orange & Apple) juice is really nice. Tomato Sauce. I just want plain tomato sauce or tomato paste. No salt, no sugar, no luck. Yogurt. There is one giant jar of plain, unsweetened yogurt of the 'Claldy' brand. Everything else is one of the sugar/aspartame/sucralose trifecta. The whole point is, lots of things in UY are 'dulce'. Fortunately most of the grocery products list their ingredients. Spend some time and read the labels. You may just be surprised at what is in the food that you eat. *When needing to add a sweetener to food, there is a natural alternative available in Uruguay. Stevia is an extract of a plant grown in Paraguay. It is available at the larger grocery stores. Thanks Franklin for reminding me of this! I also love Agave nectar, but so far I have not been able to find this in Uruguay. If anyone knows of Agave in UY, PLEASE send a note!! I've been walking past Deli Singer for weeks. Just a few blocks away from our house and right across the street from the grocery store that we frequent, this place is a gold mine. It's always closed when I tend to walk by (weekdays between 2-4 PM) but Friday evening we found it open. Deli Singer is a Jewish deli that has all sorts of prepared foods as well as wonderful bulk nuts, dried fruits and grains, peanut butter, and other lovely sundries that tend to be hard to find here. I am thrilled that it is so close and they have a great variety. Tonight we enjoyed some amazing cashews from Singer and would have had sundried tomatoes as well, but I forgot to add them to the lasagna I made. Deli Singer's hours are 8 AM-2 PM and 4 PM-8 PM Monday through Friday and 8 AM-4 PM on Saturday. Note to Brian and Chrystal: You have to check this place out. They have large bags of almonds, and not far away from you! Bar 62: I hear this place gets its name from the first trolley line in the city of MVD. Well, I can't verify that, but it is some of the best food we've had here, and by best, we mean a 7:00 dinner of nothing off of the parilla because it's not ready yet, because we're out too early with a baby in tow. Still, it's been incredible. They have an eclectic combination of sushi/tempura (veggie tempura was light and not greasy- some of the best we've had. Looking forward to the sushi! ), mediterranean salads (we've had it served differently on two occasions, both really good though)and typical Parilla fare . The waitstaff is cool, the building is beautiful and we're certainly going back for a real dinner (at the normal time of 10 PM) the first time we have a babysitter. Barreiro 3301 and Chucarro in Pocitos, 2 blocks from La Rambla. La Taqueria: The little taco joint that we mentioned before. We finally got there on the night that we moved into our house. What a great day!! Don't let the little taco stand facade fool you. These guys know what they are doing (and with a little prodding, they can and make it HOT!). It is a bit more expensive than a typical mexican place... but completely worth it. As Brad put it in a recent email to two future friends from CA and their daughter who are moving to MVD in a few weeks: "We love spicy food. We went to that Mexican place the other night (Tuesday to be exact). They brought our the first salsa. We tried it...pretty much about as spicy as ketchup. Then he proudly brought out the "mas picante" option. Better, I can feel it a little bit now. He said he could do one even "MAS picante" after a few minutes I went up to him and asked for it. I saw the guys in the back mincing the chili pepper. One of his buddies tried it before they brought it out. I heard him cough, turn red and reach for his drink. They brought it to the table. Lisa and I both filled up a chip. It was great, but this is very much the exception". We had the veggie burrito, chicken burrito, quesadilla and some amazing chocolate torte for desert. Heaven!! On Jose Marti between Benito Blanco and Chuccaro in Pocitos.